With such a large amount of discussions going over the Sanjay Leela Bhansali’s forthcoming film Padmavati, I thought it couldn’t have been a better time for me to write a post on Chittorgarh Fort Rajasthan, which has a considerable amount of history related with the movie. It is believed that Rani Padmavati (also known as Rani Padmini), the queen of Chittorgarh conferred Jauhar (self-immolation) alongside a huge number of her servants, once her husband and the ruler Rana Ratan Singh were murdered; in order to abstain from surrendering to Allauddin Khilji who was awed by Rani’s magnificence and wanted to possess her. Chittorgarh Fort, credited to be the largest fort of India is situated on a hill (580 m high) covering an area of 700 acres. 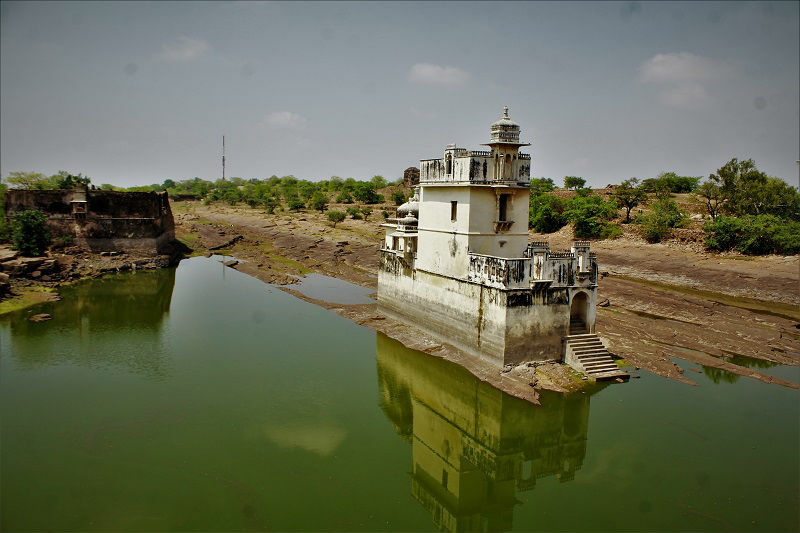 The fort once had 84 water bodies (22 remaining now), which could hold one billion gallons of water which can suffice the thirst of an army of 50,000 for 3-4 years. 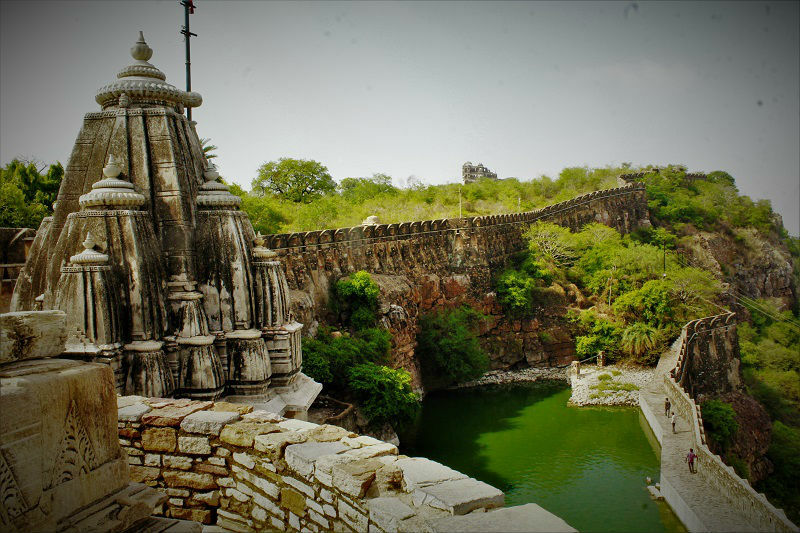 In 2013, World Heritage Committee declared Chittorgarh Fort as a UNESCO World Heritage Site. The cheapest and the most convenient way to reach Chittorgarh is via railways. 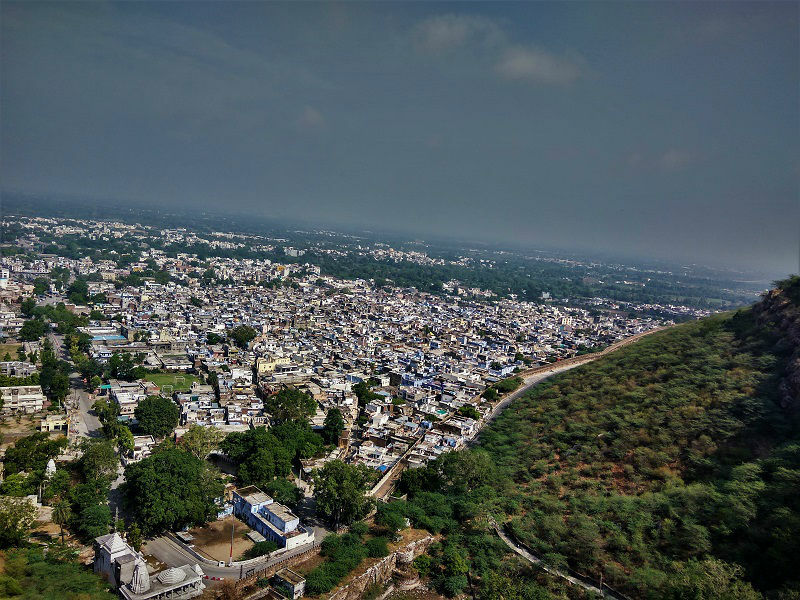 Chittorgarh is well connected to major Indian cities such as Udaipur, Jaipur, Ahmedabad, Ajmer, Delhi, Kota and Mumbai by rail. The fort is located around 8 kms from the railway station and can be reached by taking a shared auto from just outside the station (INR 20). For train details and bookings visit IRCTC website. 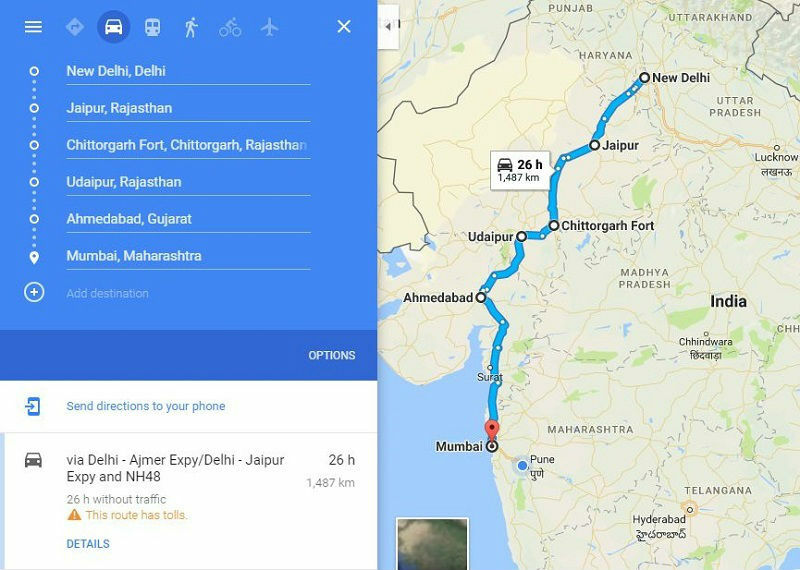 If you prefer bus journey over the rail journey than you can opt for a Rajasthan roadways Bus (RSRTC) which provide regular bus service from Delhi, Udaipur, Indore, Ahmedabad, and Ajmer to Chittorgarh and vice versa. The entry fees for an Indian National is INR 5 and that for a Foreign National is INR 100. Entry for children below 15 years of age is free. 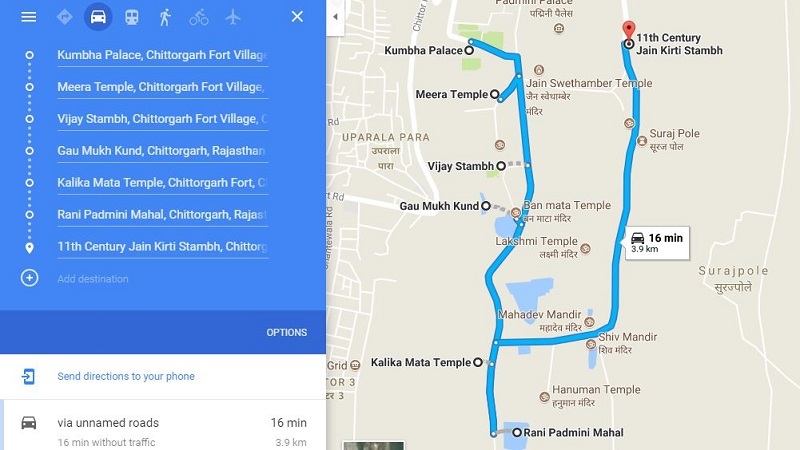 Despite the fact that the fort is one of the biggest fortresses in India, still the spots of intrigue are in a concentrated area and can be best explored by strolling. If you are not comfortable walking, you can hire an auto rickshaw for the guided tour (INR 150-200) from the tourist office. I was searching for a weekend gateway from the place where I grew up – Udaipur. When I heard that Chittorgarh Fort close to Udaipur is one of the largest forts in India, I was exceptionally eager to visit the place. I took a morning train from Udaipur (6 AM) which reaches Chittorgarh around 8 AM. Simply outside the station, you will find many shared autos for the fort(INR 20). 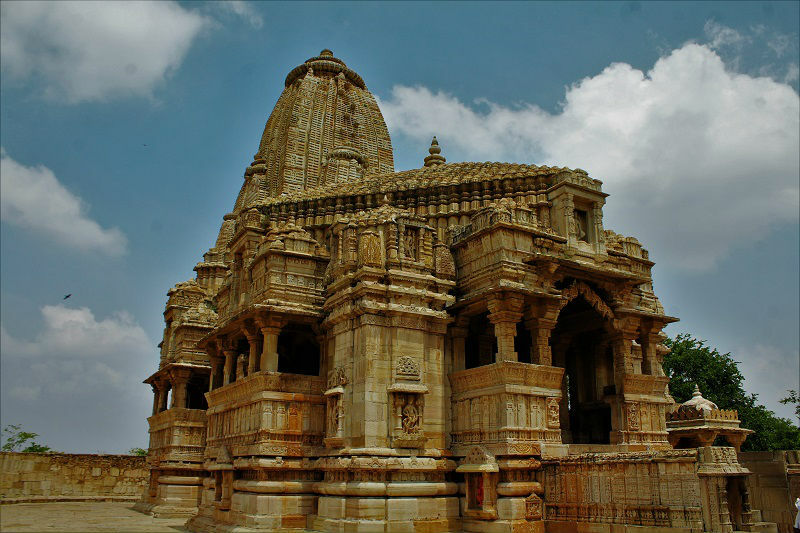 The route to Chittorgarh Fort will take you through confound ways that would be hindered at interim by seven enormous gateways otherwise called pols. The pols’ contains strong iron spikes and served in as a watch tower in earlier times. As the fort is quite large, it can sometimes be hard to find each place of interest if you are not taking a guide along with you. So generally what I do is, mark all places of interest on my Gmaps and then traverse accordingly. This helps me to cover more places in less distance covered. A light and sound show is organized in the evening that will bring you more in-depth stories about the fort. The timings are from 7:00 p.m. onward. Entry fee for adults is INR 50 and for children, it is INR 25. It took me around 3-4 hours to cover all the places of interest. It the first place of interest you come across as you enter the fort premises. Situated very close to Vijay Stambh, Kumbha Palace is believed to be the birthplace of Maharana Udai Singh (founder of Udaipur city). It is additionally trusted, that Rani Padmini sorted out her self-immolation inside this stronghold. 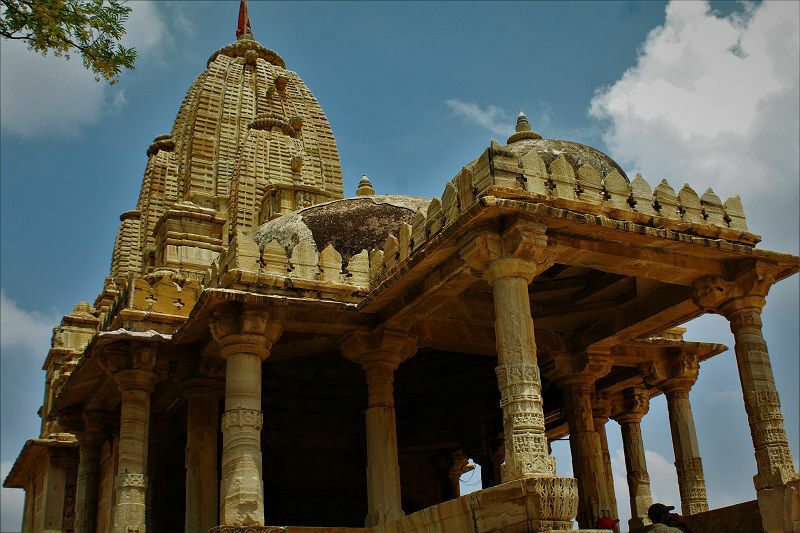 Meera Temple is committed to Meera Bai (Rajput Princess) who gave her luxurious way of life and devoted her life to the worship of Lord Krishna. 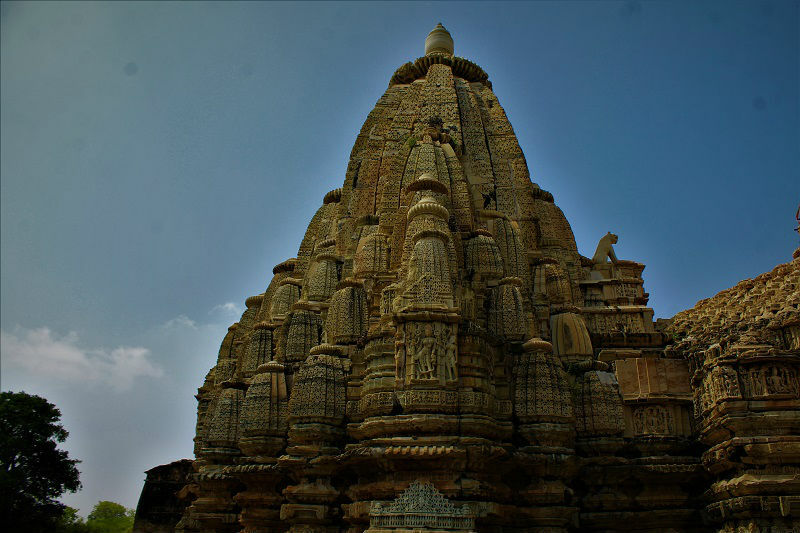 The awe-inspiring design of the temple is one reason for it being a popular temple in Chittorgarh. 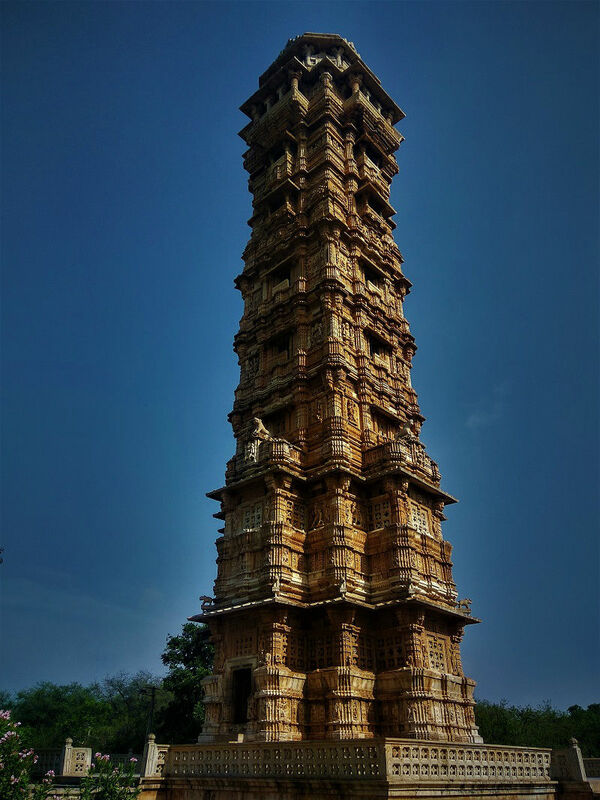 Adjoining Rana Kumbha’s Palace stands Vijay Stambh, a nine-storied tower made of red stone. It is the most well-known image of Mewar and Chittorgarh and is the focal point of fascination in the whole Chittorgarh Fort. It was raised in 1440 AD by Rana Kumbha to celebrate his triumph over Sultan Mohamed Khilji. The entry to the top is now closed in order to prevent the structure from deteriorating. Gau Mukh Kund is a tank which gets filled by a spring which originates from a mouth of a cow ‘Gau Mukh’. The water in the tank looks greenish which sparkles once sun-rays falls on it. Situated in the southern part of the Chittorgarh Fort, the Mahal is a three-storied structure surrounded by a lake. It is at this Mahal where Alauddin Khilji was permitted to witness mirror image of Rani Padmavati. 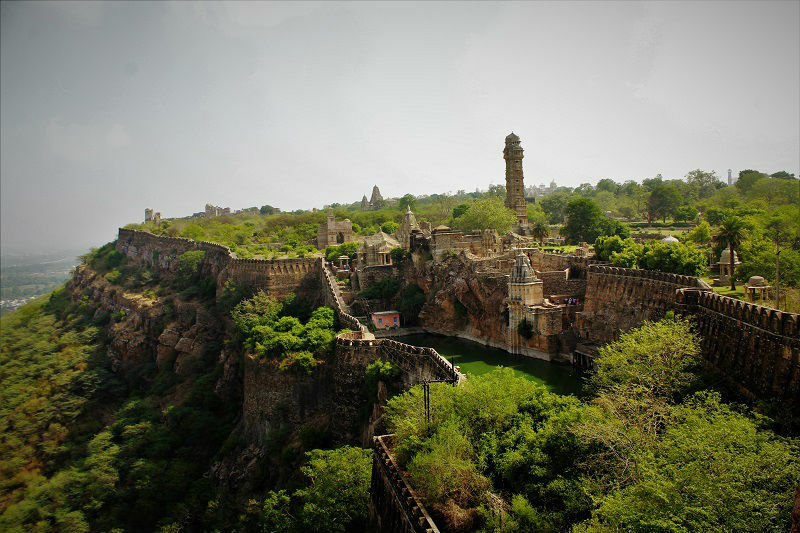 Rani’s beauty besotted him and persuaded him to obliterate Chittorgarh Fort with an objective to possess her. 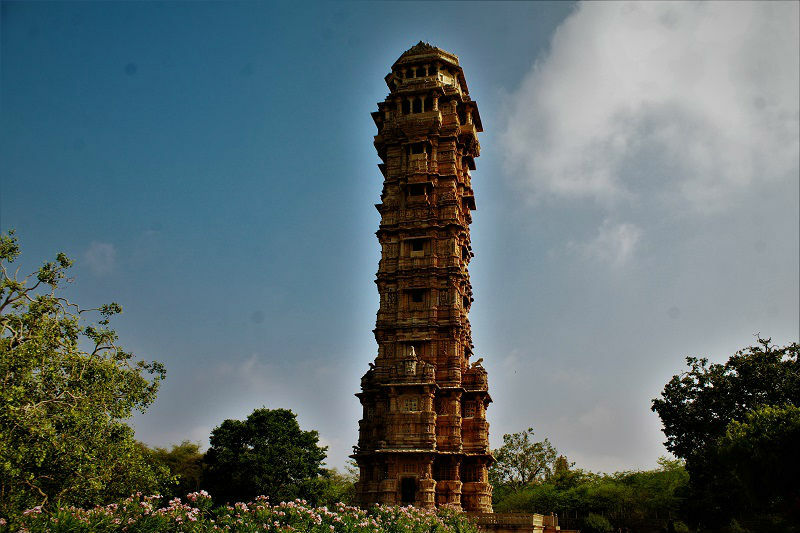 Also known as Tower Fame, Kirti Stambha is a 22-meter-high tower built by a Jain merchant Jeeja Bhagerwala. 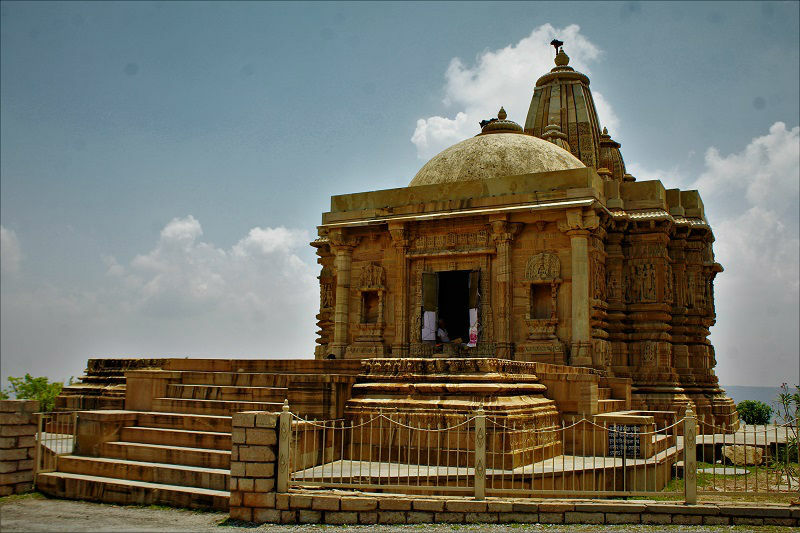 It is dedicated to first Jain Tirthankara – God Adinath. 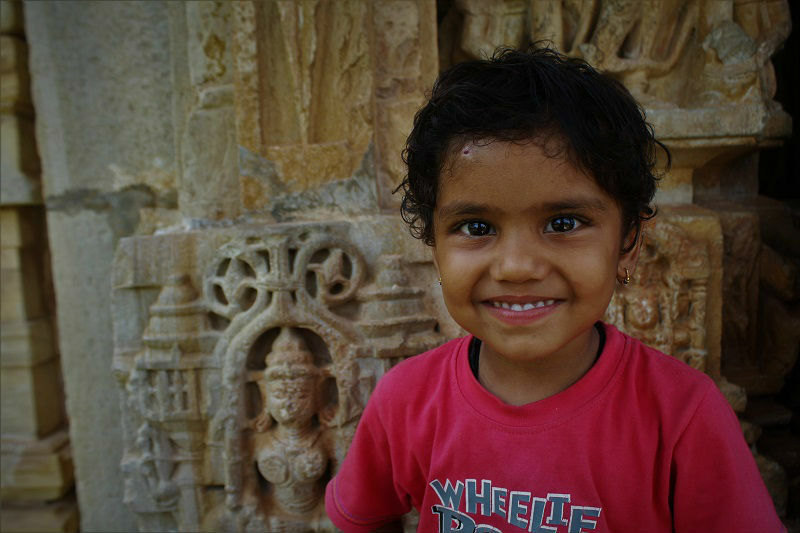 Many followers of Jainism consider Kirti Stambha as a pilgrimage center. 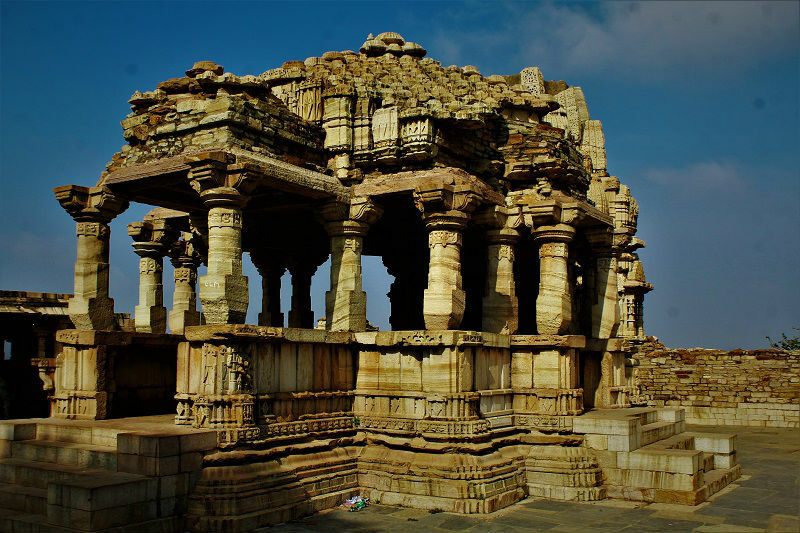 The best months to visit Chittorgarh Fort is from October to February as the climate is very charming in the daytime. Abstain from going into the summer season as temperature may reach up to 45 °C. Hotel Gaurav Palace‎, Hotel Natraj, Shalimar Hotel are few budget stay choices in Chittorgarh. 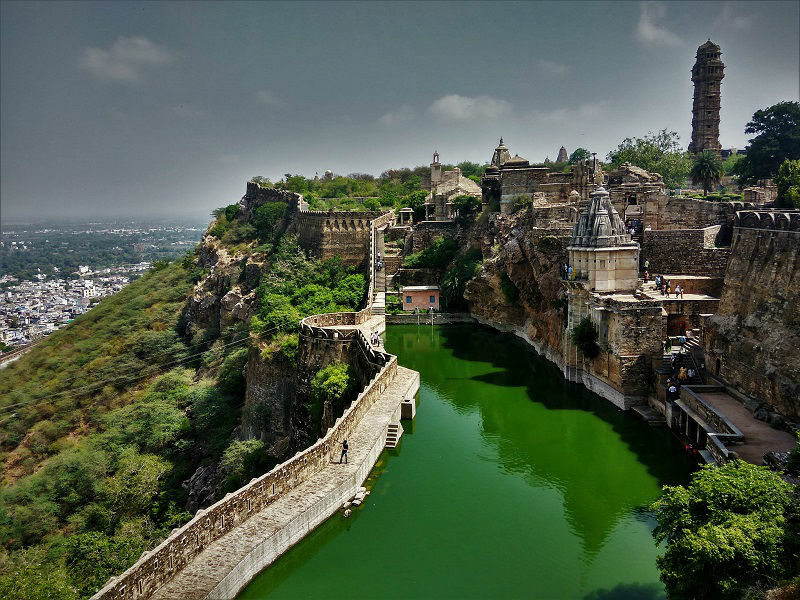 In any case, what I would propose is to visit Chittorgarh Fort on a day visit from Udaipur. You can spend evening time at any of the beautiful lakes in Udaipur. 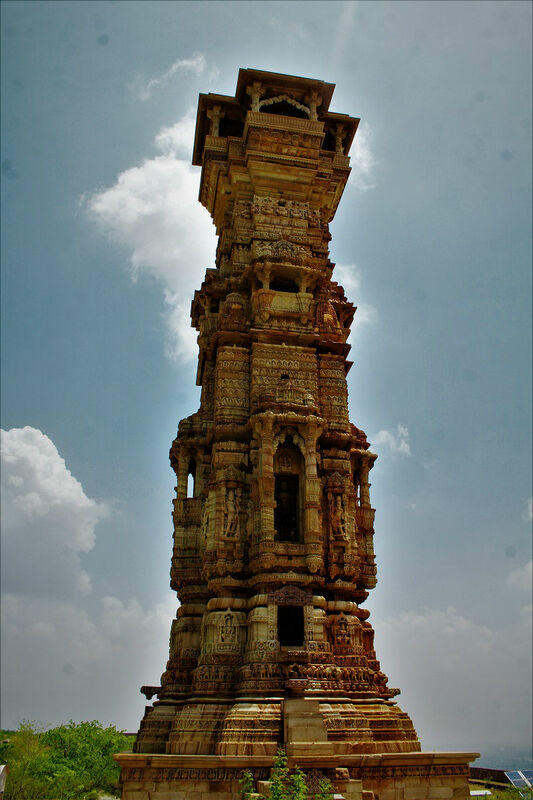 I left the Chittorgarh Fort with a prayer for all the brave woman who died in Jauhar (self-immolation). New Year Eve is less than a month away. So readers what are your plans for the eve? If you need any help in planning itinerary, feel free to comment or Email. 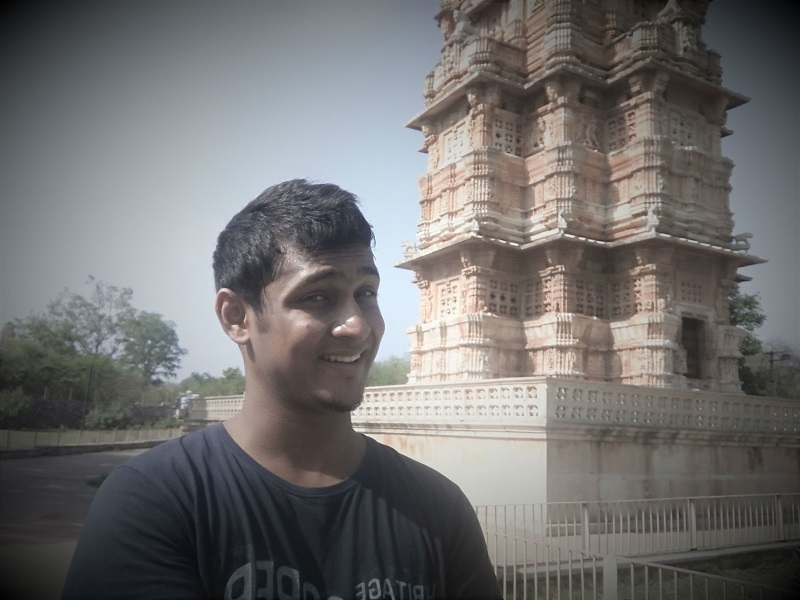 I have visited Kubhalgadh Fort several times and again going to be there on 9th Sept. Your write up has now made me think why I have not visited Chitorgadh ??! Will do so soon. Should visit it again next time! Very historical!! You covered it nicely!! Great article with very good snaps. Kudos. as you said, the timing is also correct. Amazing photography Abhishek and very well described. The Meera Temple looks just amazing. Beautiful Place to Visit. I Want to Visit this Place once in my Life. The Way You describe this Beautiful place is Really Amazing. 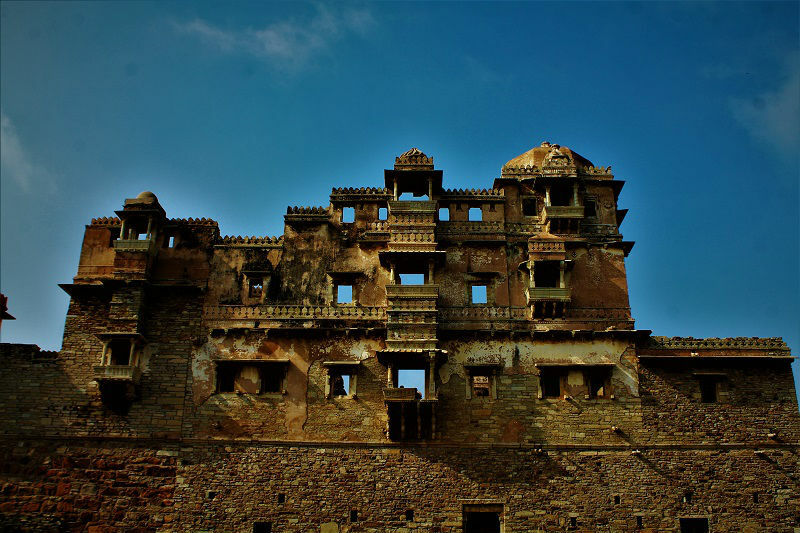 I Think this Fort in Rajasthan is the best Fort in India and Highly attractive Fort for Tourist. Thanks For Sharing this Beautiful Article. I absolutely love the pictures. Loved your post. Great compilation. I love forts and this one is definitely on my list.